Huawei unveiled its plans to introduce the P30 and P30 Pro smartphones in the late March this year. 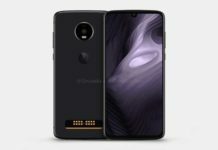 The case maker, Spigen leaked the upcoming Huawei flagship smartphones with clear images. We have got a detailed look at the upcoming Huawei flagship phones. Let’s talk about the Huawei P30 and Huawei P30 Pro’s Leaks, Design, Specification, and pricing. 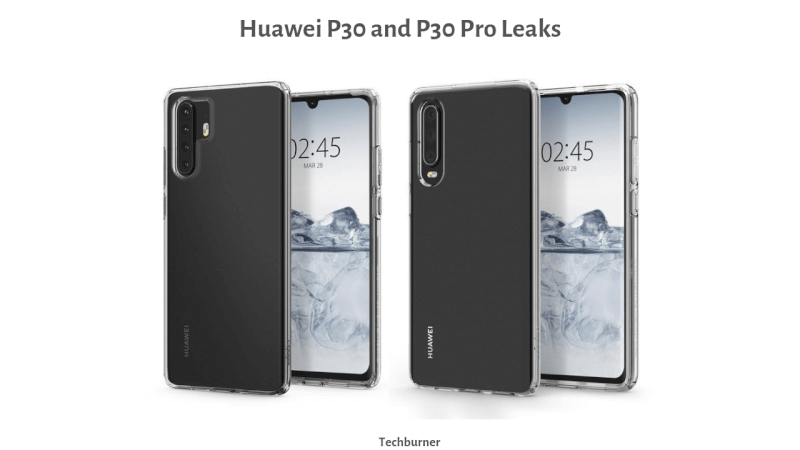 Huawei P30 Pro and P30 leaked image showing various models of protective cases. 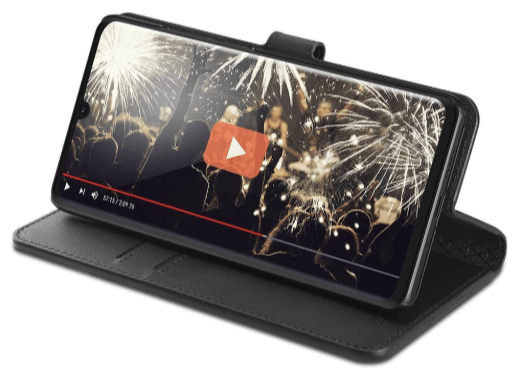 The Huawei P30 Pro is in a transparent TPU case and has a sizable cut-out for the vertical quad-camera setup and dual LED flash on the side. 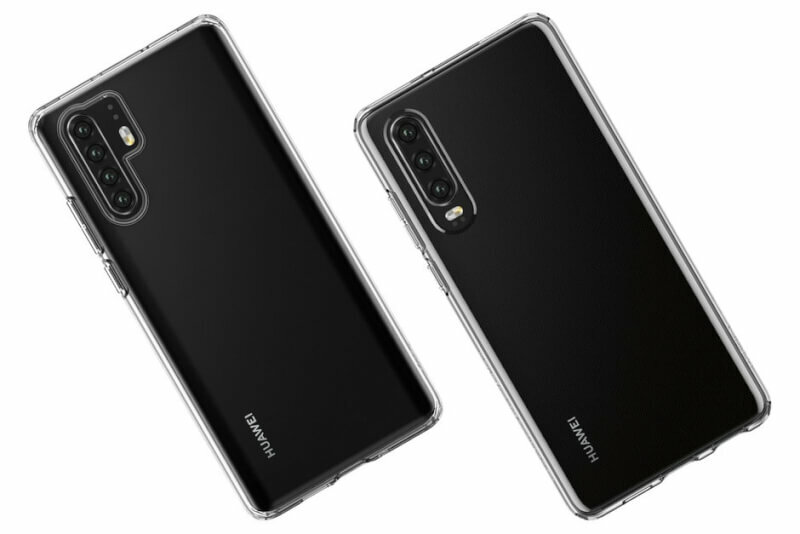 It is a vertical camera setup something similar to the Samsung Galaxy A9 (2018). The smaller P30 will also have a vertical camera setup, but it has three lenses and the flash is situated right below the camera module. On the front side, the leaked images show that the Huawei P30 and P30 Pro will have thin bezels all around. However, the bottom chin is slightly thicker. 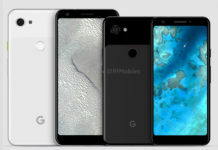 A tiny, waterdrop-style notch and a single front-facing camera at the top. There is no physical fingerprint sensor present on the back side of the Huawei P30 and P30 Pro. So, we can expect the in-display fingerprint sensor on both these flagship smartphones. It is expected that P30 arrive with a 6.1-inch display whereas the P30 Pro may come with a 6.5-inch screen. 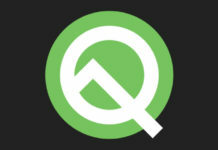 Both devices will arrive with an OLED display. Huawei P30 Pro will feature a quad camera setup with a periscope module for achieving higher optical zoom. It will also feature the Sony IMX607 38MP Sensor. At the front, it is expected to have a 24-megapixel selfie camera. The P20 Pro’s Camera’s DxOMark score is 109, beating the Pixel 3 and 3 XL. Undoubtedly, new flagship smartphones from Huawei are going to come with amazing camera quality. P30 series won’t have the same 40W supercharge capabilities as the Mate 20 Pro. We can expect a 22.5W charge, instead. The Huawei P20 Pro didn’t have a 3.5mm headphone jack but P30 series might have this, which is a surprise! The render also revealed a USB Type-C port with a speaker grill right next to the charging port. The Huawei HiSilicon Kirin 980 SoC will power both the Huawei P30 and the P30 Pro. The P20 and P20 Pro were both announced at the end of March 2018. It is believed the Huawei P30 and P30 Pro will be announced in March at an event in Paris. Another interesting detail in the latest Spigen case leak is the date shown on some of the images, “MAR 28.” Most probably Huawei will launch these smartphones on 28 March. While there is no official confirmation about the Huawei P30 Pro Pricing, Last year’s phones started at about $765 for the P20 and about $1,020 for the P20 Pro – This year’s flagship Huawei phones are going to be more expensive. Stay tuned with Techburner to know more about the upcoming Huawei P30 series. Next articleNegative effects of PubG mobile? Officials think so!